Google is testing even more detailed search refinements in the core web search results. 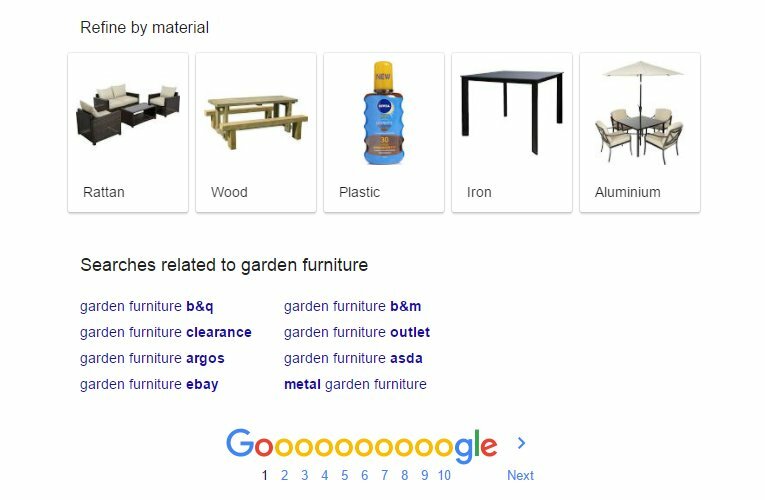 I personally cannot replicate it by the folks at Glass Digital posted on Twitter examples of the refinement options at the bottom of the search results for queries including [garden furniture] and others. Previous story: Hint: Google To Display More Featured Snippets; Maybe Expand In Other Languages?